Ilene's work reflects her personal response to the light on her subjects matter. 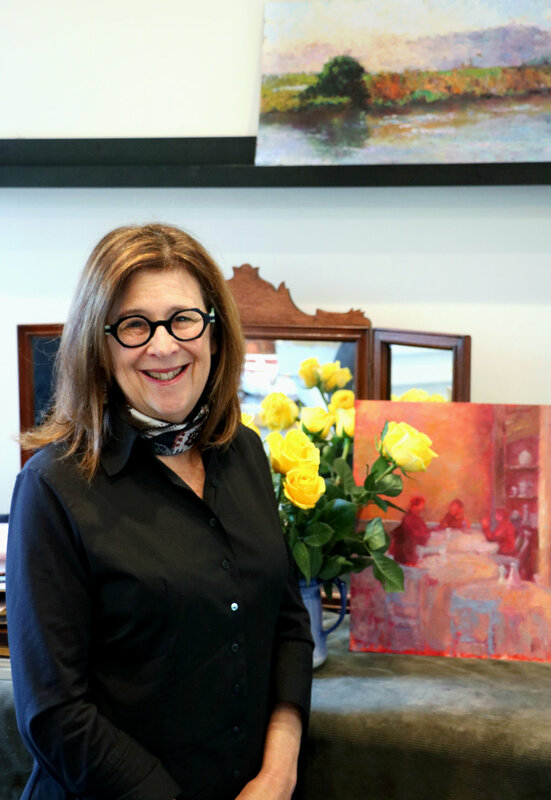 Her paintings have appeared in juried exhibitions sponsored by the Philadelphia Sketch Club, Wayne Art Center, Pacific Art League, Delaware Valley Art League and Salmagundi Art Club in New York. She has studied at the Woodmere Art Museum, Wayne Art Center, Scottsdale Artist School, and now at the Palo Alto Art Center. Ilene is a juried member of the Salmagundi Art Club and Oil Painters of America. She paints in Northern California Orchards, the San Francisco Bay Area Wetlands, and in her home studio in Silicon Valley. For commissions please get in touch here.